Styled with ourson jacket . Trousers, but shorts, but trousers. 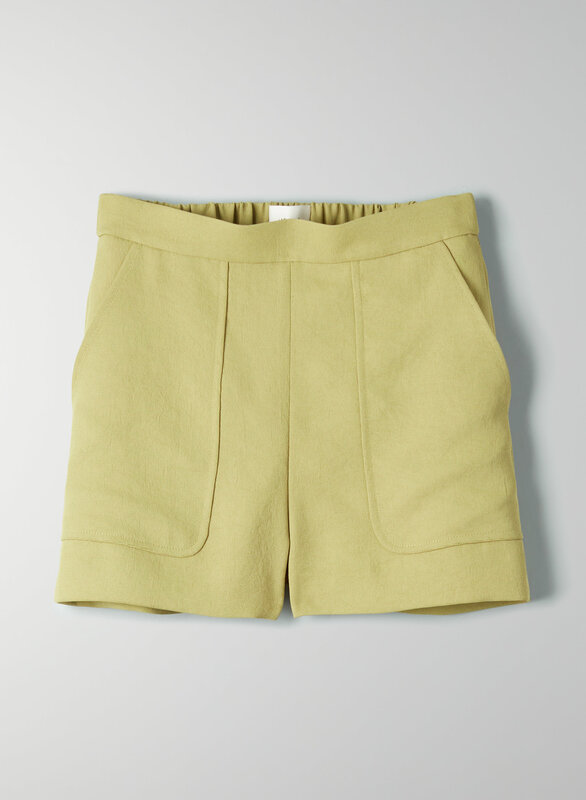 These shorts are cut from a luxe Japanese fabric with an intricate basketweave texture. They have a high-rise silhouette, patch pockets and side slits.